Chocolate peanut butter cups are the ultimate indulgence. Rich and creamy, they are hard to pass up. But the store-bought versions have a list of ingredients you should avoid. Instead of giving up on your favorite treat, make them at home. With raw chocolate and all-natural peanut butter, you can eat as many as you'd like — without the guilt! As a kid, you loved chocolate peanut butter cups. Fast forward many years later and this hasn't changed. Except now when you indulge in the store-bought version of these treats, you feel guilty because you know they aren't good for you. Rather than give up your beloved treats, make them at home! These raw chocolate peanut butter cups have only four ingredients, take only a few minutes to make (not counting freezer time) and are better than anything you can buy at the store. Plus the raw chocolate is healthy for you! 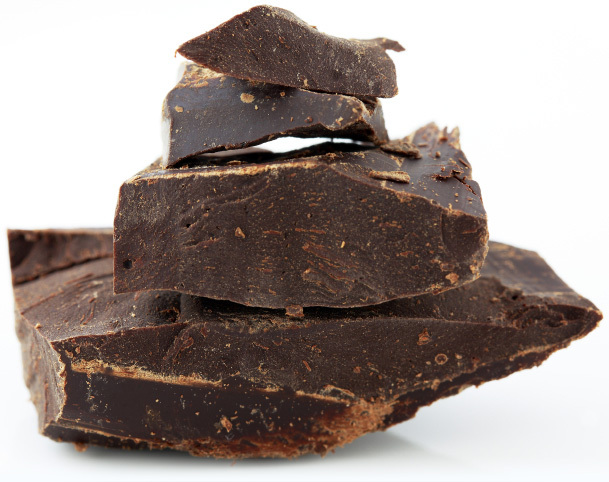 ^ Read more on the health benefits of raw chocolate. For the peanut butter portion of your cups, either buy an all-natural version that contains only peanuts or make your own. MaraNatha makes a great all-natural peanut butter as does Trader Joe's. Go with the creamy version if you want your peanut butter cups to be smooth. For a little crunch, use the chunky peanut butter. Or you can use both. It's all up to you! Place the cacao butter and agave nectar in a high speed blender. Blend on high until combined. Add the cacao powder and blend until combined. Should be the consistency of a thick liquid. Add more agave nectar if needed. Coat the bottom of muffin paper liners with the raw chocolate mix. Use a spoon to press the mixture into the liners as needed. Top the raw chocolate with a scoop of all-natural peanut butter. Use a spoon to spread the peanut butter around to completely cover the tops. Place the muffin pan in the freezer for 5 to 10 minutes to set. 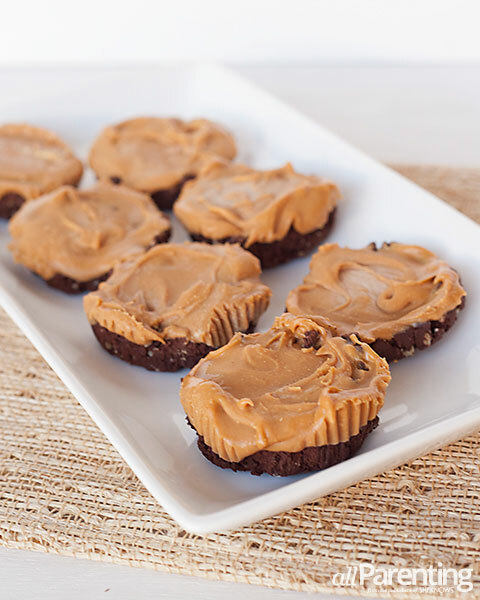 Store the raw chocolate peanut butter cups in an airtight container in the refrigerator until ready to eat.